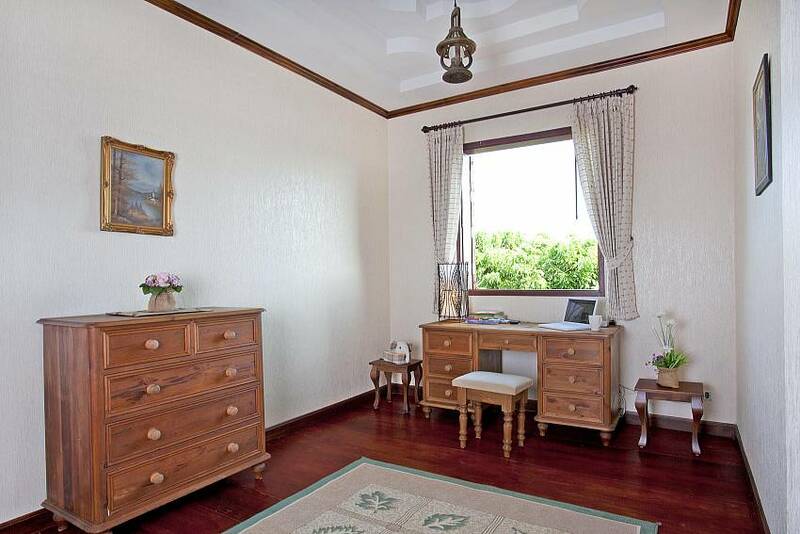 Important: If you wish to book this villa more than two months in advance please make a request first. Wake up to the morning mists coming off the mountain. 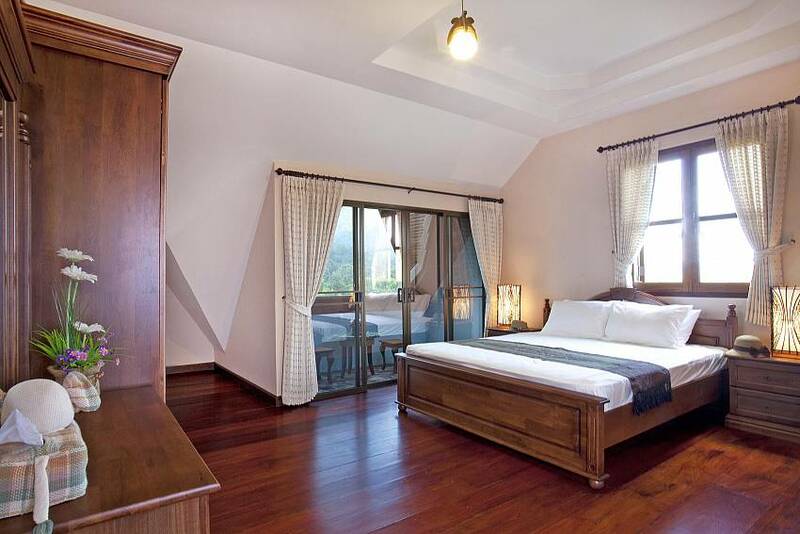 Bask in the gorgeous scenery of the foothills of Doi Suthep Mountain. 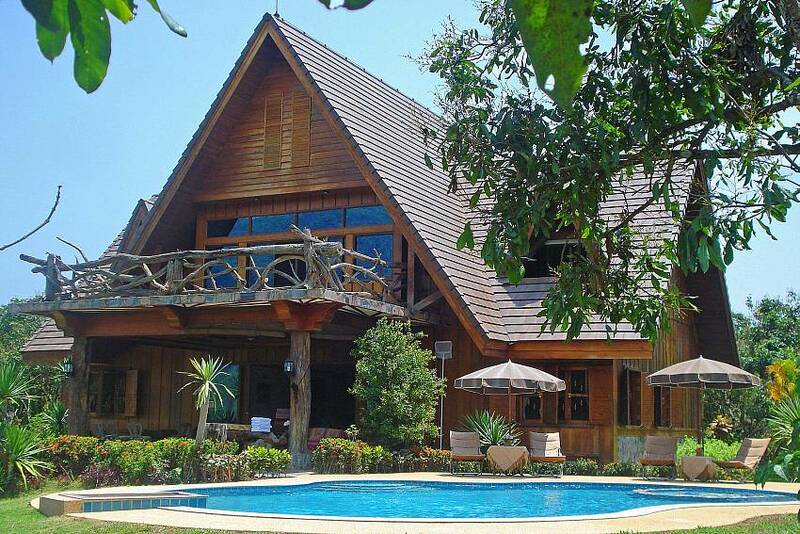 Luxuriate in the private pool and garden of your very own 10 hectare estate. Experience the real Thailand. 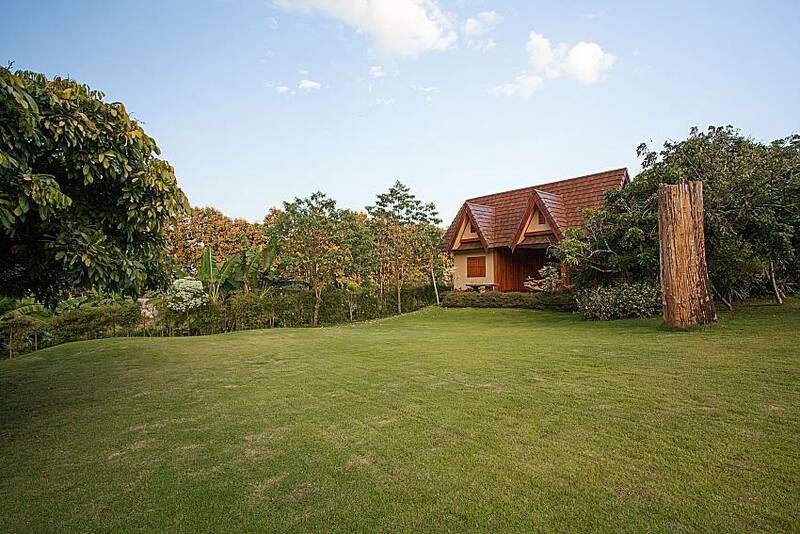 This amazing villa chalet blends beautifully with its surroundings. 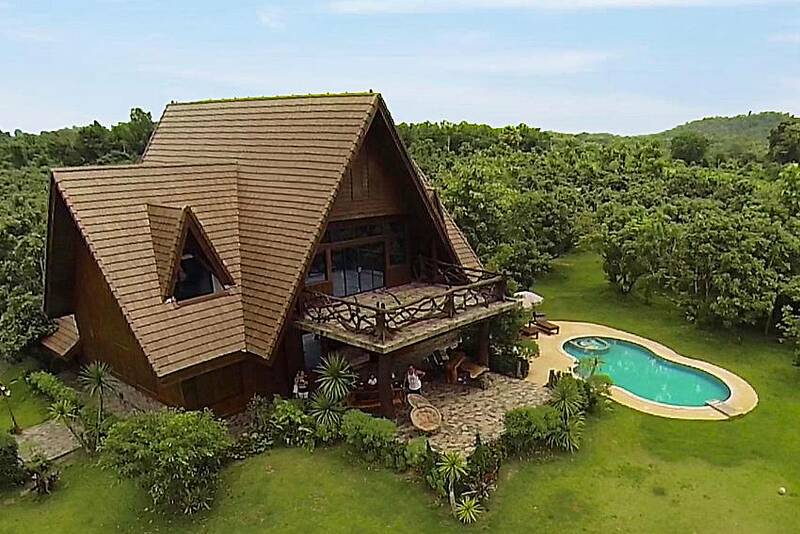 Made from hand-crafted, ecologically sensitive wood, it sits at the edge of Chiang Dao National Park and offers uninterrupted mountain views, coaxing you to be one with nature. There is even an organic vegetable garden on the grounds. 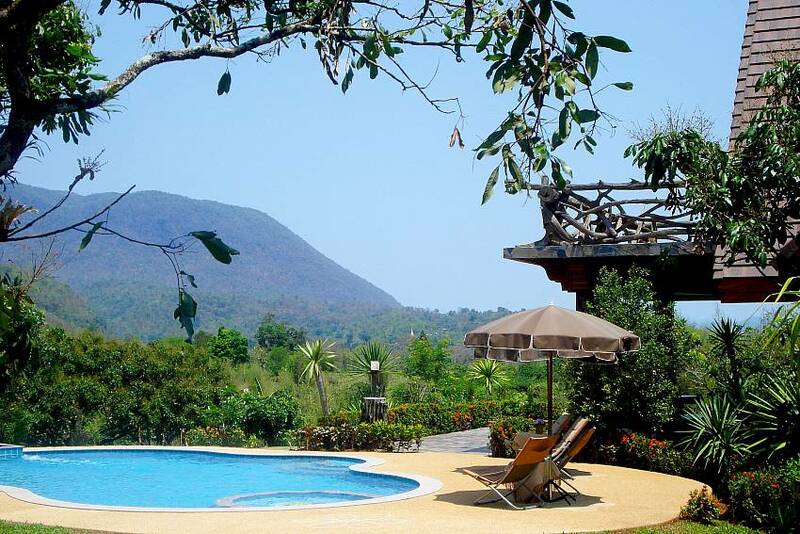 This peaceful retreat is still within easy reach of all of the activities that have made Chiang Mai famous—jungle and elephant trekking, bird and wildlife watching, fishing, mountain tribes, natural hot springs, and breath-taking temples. 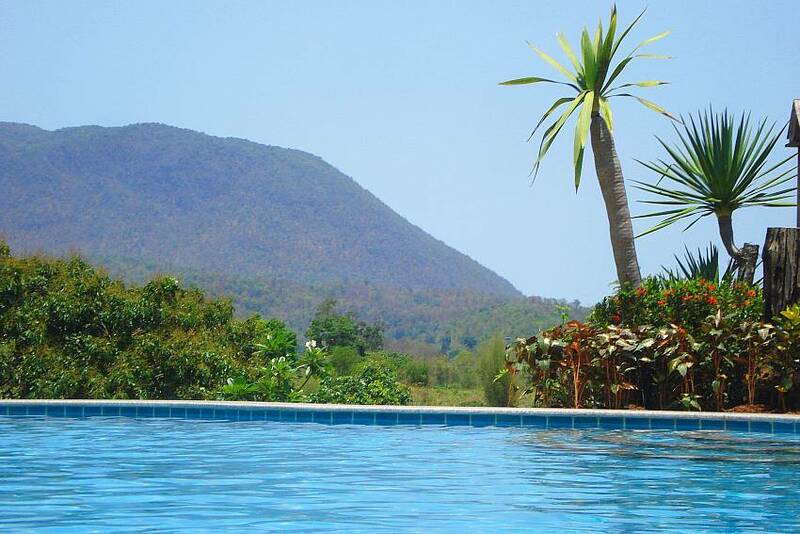 It is 80 km north of Chiang Mai, perfect for a day trip. Car hires are free for bookings over 7 days, and you won’t want to stay any fewer. 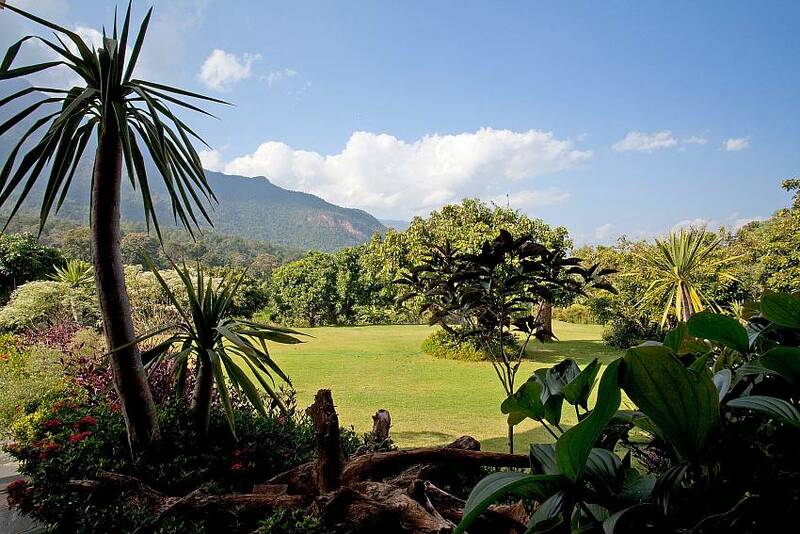 The villa has a large lawn and terrace with spectacular views. There is an open-fire BBQ for magical nights under the countless stars. The expansive interiors are no less impressive, with sophisticated-yet-rustic handcrafted furniture and living spaces designed for complete relaxation, indoors and out. 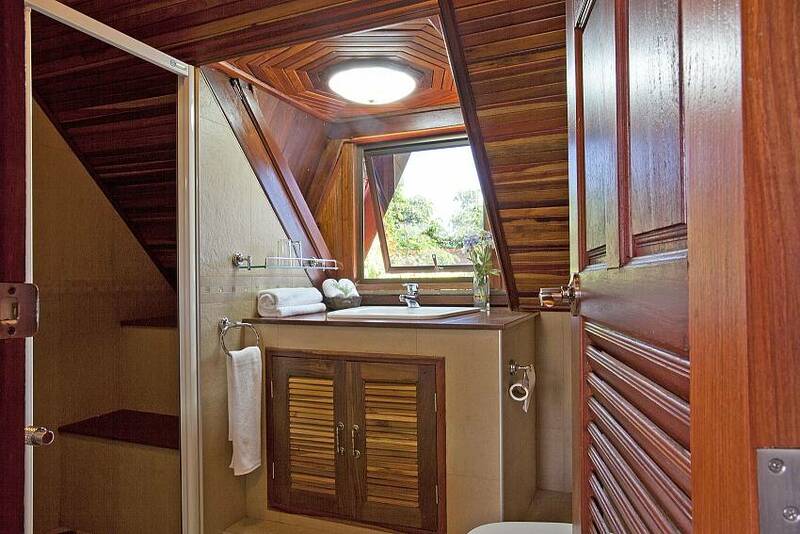 All bedrooms have ensuite bathrooms and beautiful views. 5 are in the main house and the 6th bedroom is in a separate guest chalet with its own shower, coffee making facilities and an idyllic terrace. 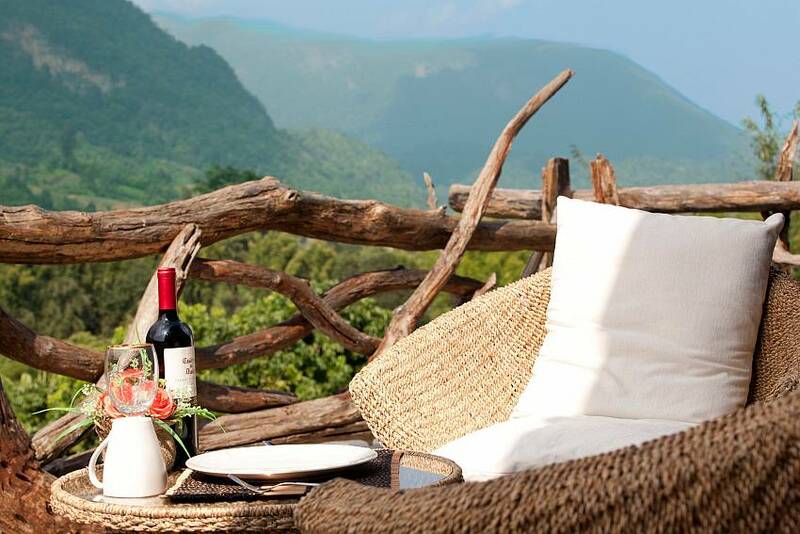 The living areas open fully to the terraces encouraging a oneness with the stunning surroundings. 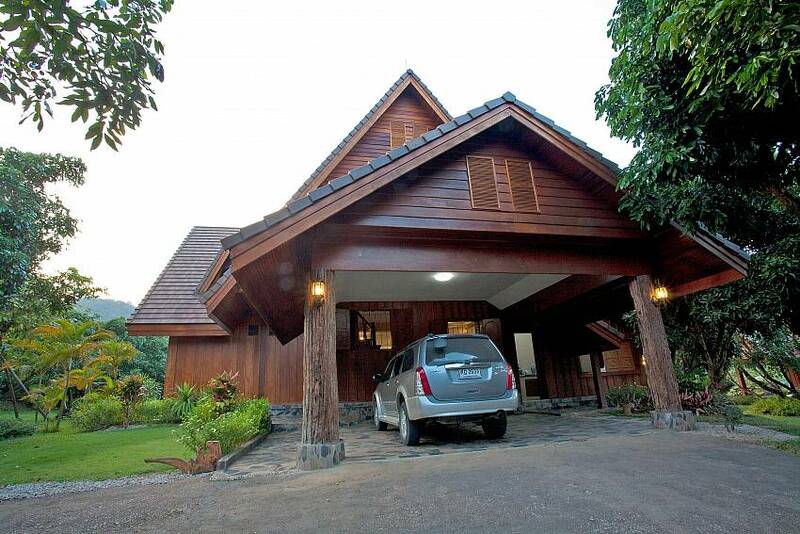 Browse our complete range of Chiang Mai's best villas for rent. 7 day + bookings qualify for a complimentary car and all bookings include all our normal services. 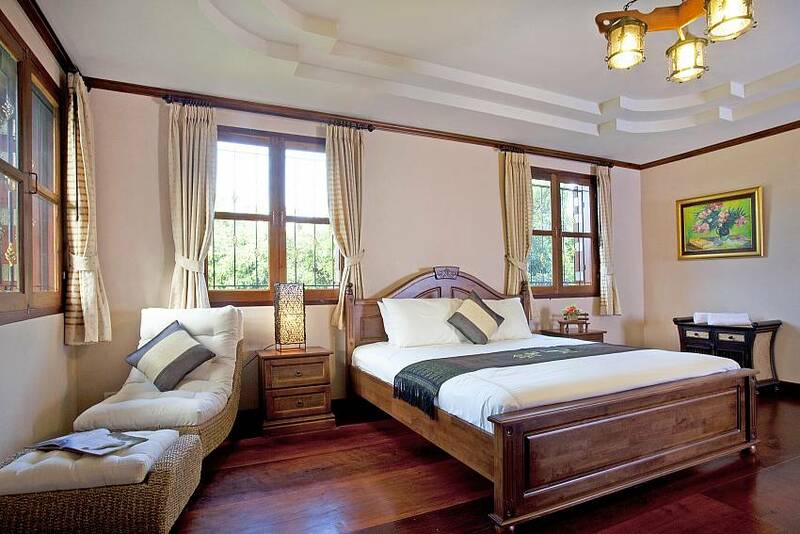 The villa’s six bedrooms are all lovely, each decorated with the luxe-nature vibe of the rest of the chateau. 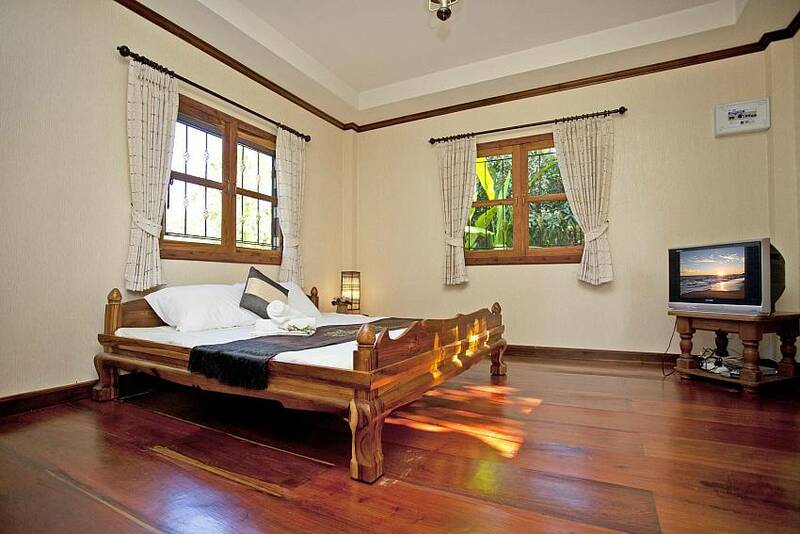 The master bedroom has tall ceilings and opens fully onto the iconic upper-level balcony made of reclaimed Madu wood. A total of three bedrooms are on the top floor. 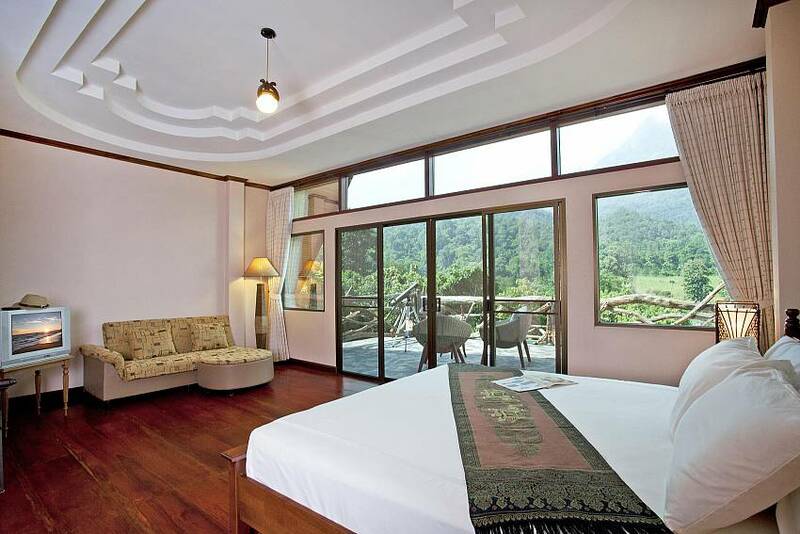 Mountain breezes and cool temperatures make air-conditioning unnecessary on the upper floor. 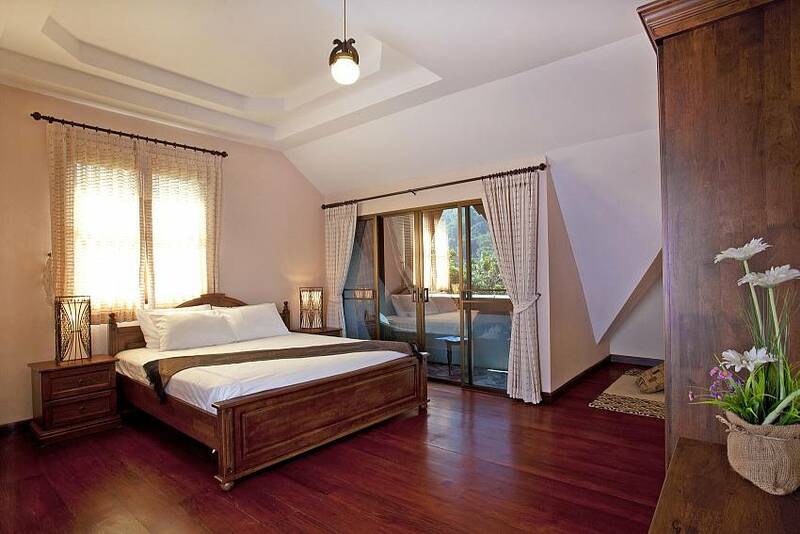 Two more bedrooms are located on the lower level of the main house, and the sixth bedroom is in the guest chalet. 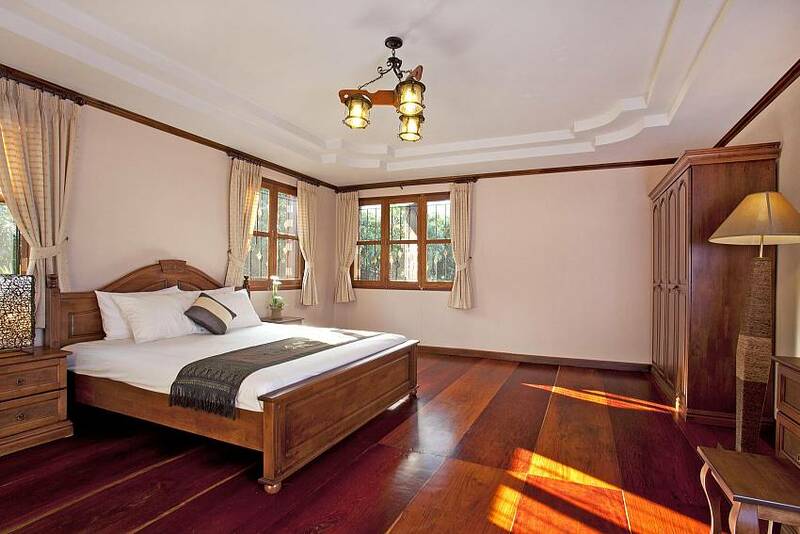 All bedrooms have double beds, ensuite bathrooms, and spectacular mountain- and garden-views. 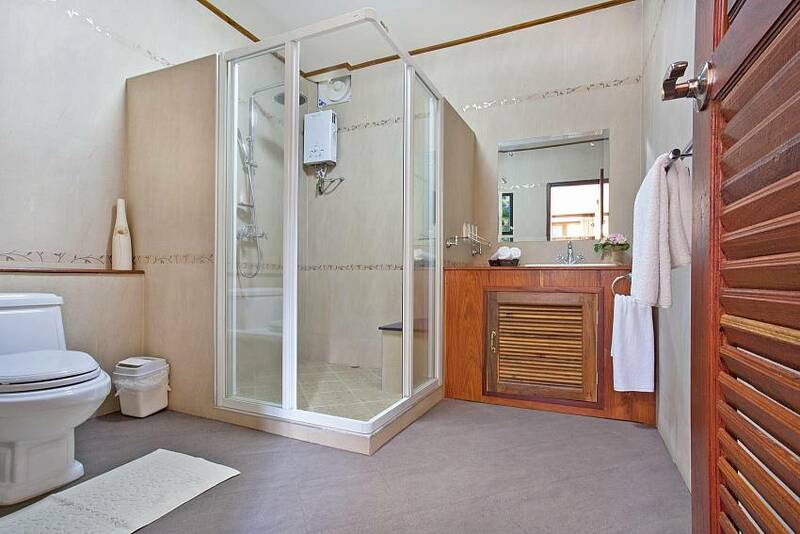 All ensuite bathrooms have showers, toilets and wash basins. 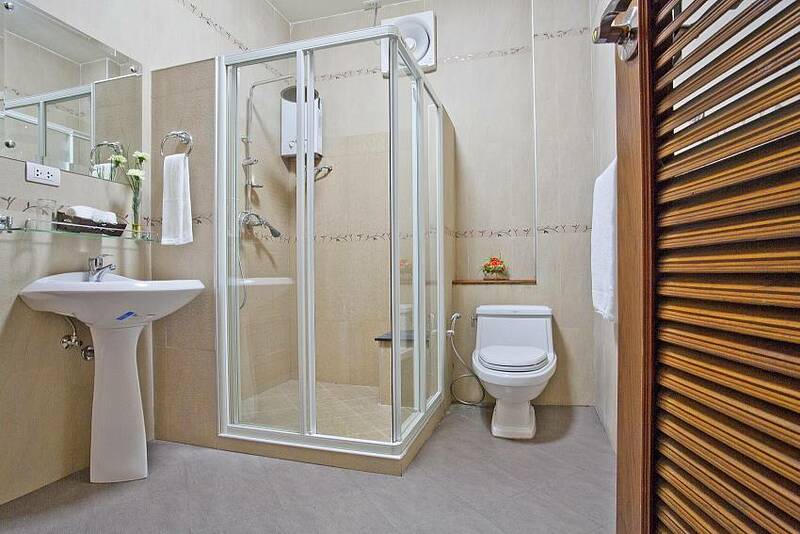 Additionally, there is a guest WC next to the living area. 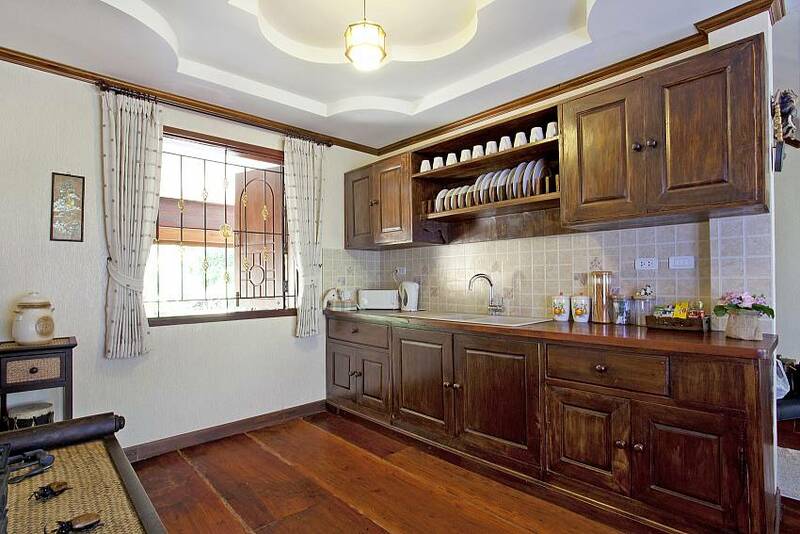 The kitchen is luxuriously rustic, with stunning wooden cabinetry and pristine open display shelves. The breakfast bar continues the natural, countryside ambiance, with a rough-hewn countertop providing expansive work and eating areas. 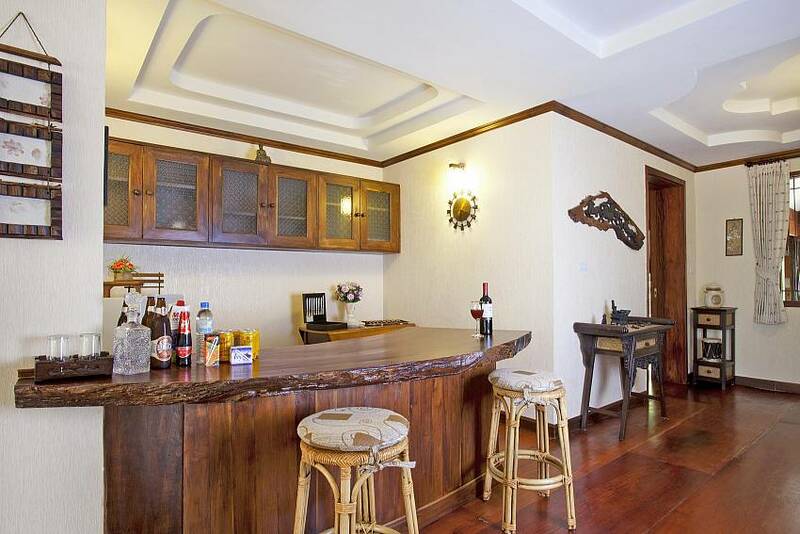 Of course, it also has all of the modern conveniences, like a refrigerator, freezer, toaster, stovetop, microwave and tea and coffee making facilities. Better than that, you can easily hire the services of a private chef for memorable, effortless gatherings. The living area opens wide to embrace the outdoor paradise, and the expansive indoor seating combined with the cushy outdoor lounge means you are spoilt for choice. 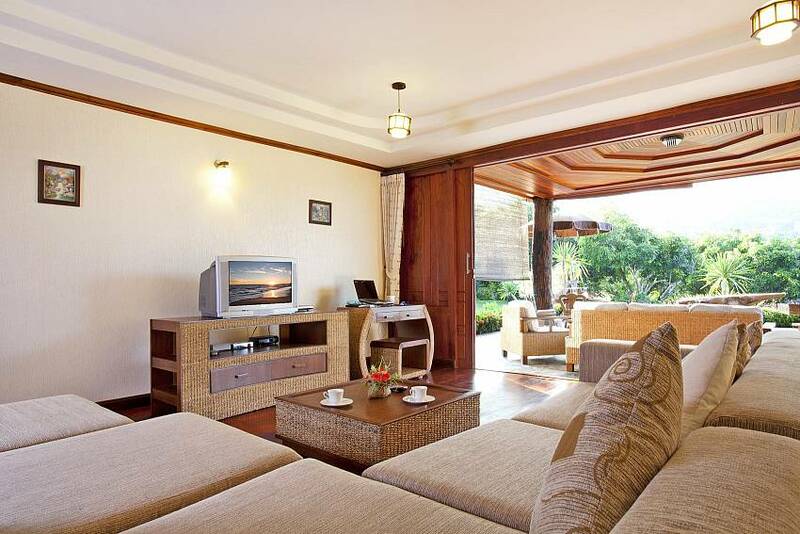 There is a large TV with international channels, and the subtle colours combined with natural finishes like rattan and local woods harmonize with the tropical beauty outdoors. 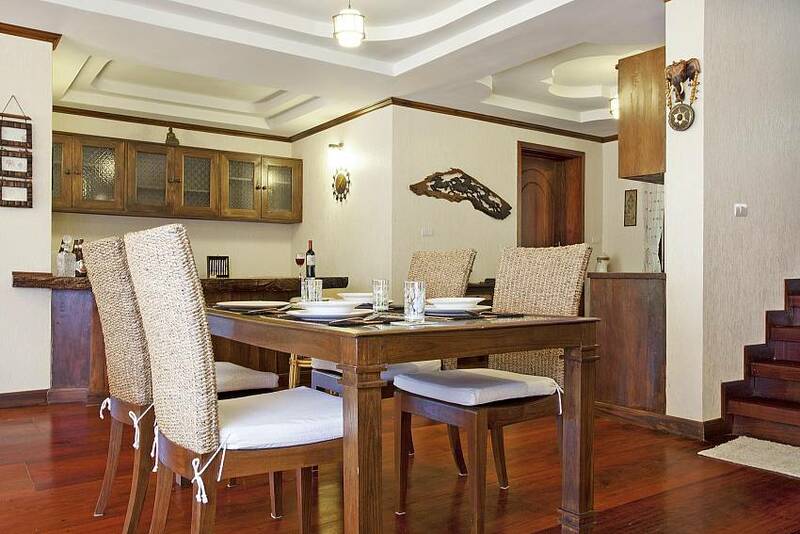 The dining area is a part of the living space and seats 6. The terrace offers the perfect dining area for moonlit dinners or a casual coffee in the mountain mist. Bookings of less than 7 Nights, Please make an Enquiry. 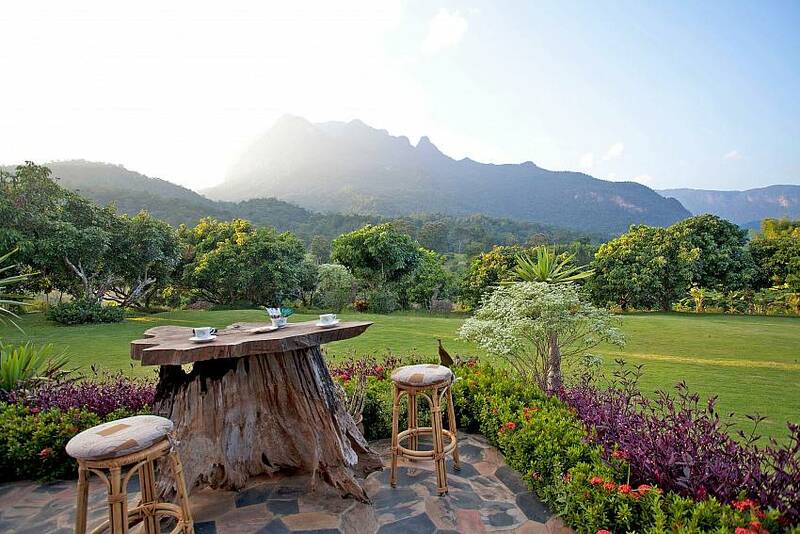 "As I was the "old lady " of the party I was happy to be sitting on the shady patio with a view which was a lush green mountain - - - -which seemed privately ours ! So peaceful and comfortable in all accomodation. The beautiful grounds and magnificently crafted wooden House or perhaps Mansion, with many artisticly hewn seats and tables. It was an easy and delightful trip from the airportwith the car at our disposal and many interesting sights within easy reach. The staff looked after us well and our thanks go to Noel Hunt for his arrangements. 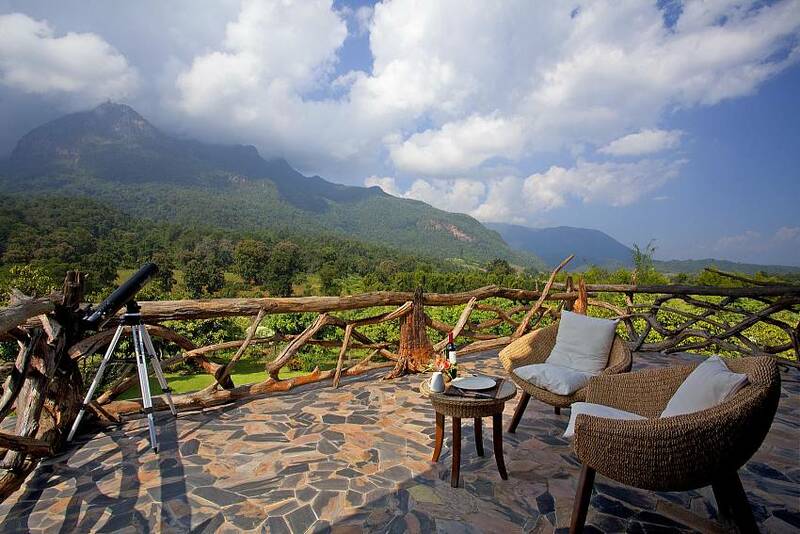 Lisbeth anderson "
"We spent an idyllic four days and nights at Doi Luang Private Reserve. The house itself was a great place to spend time and relax: spacious, clean and comfortable. People came in to clean the rooms and prepare meals, but kept out of your way. Almost any request was granted, including a table tennis table and an outdoor fire in the evening. However it was the 'back yard' that made this trip really special. As you first enter the house, you walk through the kitchen and living room onto the huge veranda and you know you've arrived somewhere special. The view is astonishing. 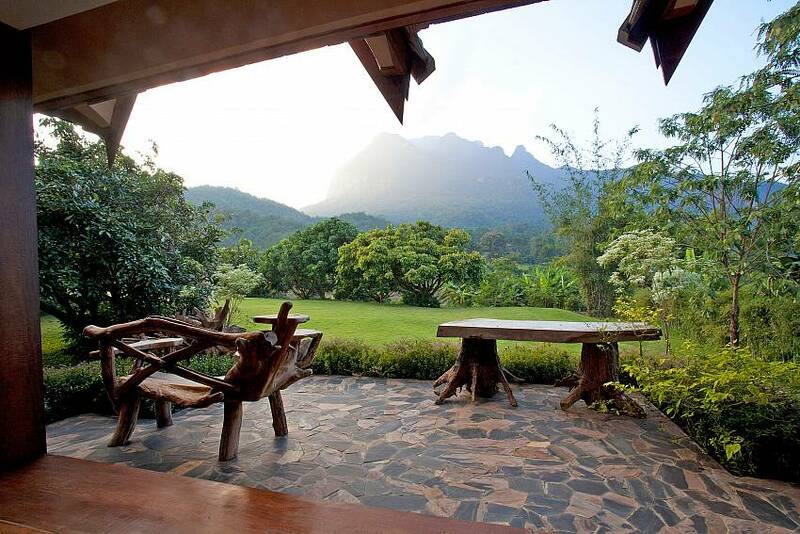 A beautifully kept garden with a huge lawn leads to a nature reserve and the perfect view of a mountain range a couple of miles away. Nothing else in sight. No other buildings or people for miles around. Just you and the mountains. The perfect place to relax and spend time with friends and family. We had planned to go see some elephants, some temples and some caves; but most of us never left the homestead. I hardly moved from the back garden."